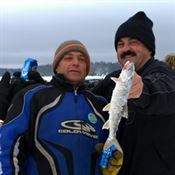 Fishing For A True Northern Ontario Experience? 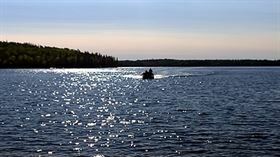 Cheminis Lodge is minutes from the boat launch to Larder Lake and many of the over forty fresh water lakes surrounding the area. If you enjoy fishing, this is definitely the place to be! The Pickerel, Bass and Lake Trout are waiting for you!! 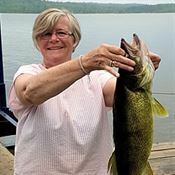 Imagine yourself fishing in the rugged nature of Northern Ontario in its most natural glory, where the fish are jumping and the picturesque scenery will leave you breathless. Can you hear the lone cry of the loon as the splash of your lure awakens the tranquility surrounding you? 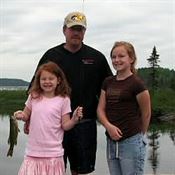 At Cheminis Lodge, we know that fishing is important to you. Getting YOU on the lake, fishing and spending quality time with family and friends is our priority. and the lakes surrounding the McGarry and Larder Lake areas are no exception! When ice fishing season opens, the Pickerel, Pike and Lake Trout are anxiously waiting for the anglers. They have not seen bait for awhile, and are quickly tempted! Stay in one of our ice huts! We will bring you out to the fully equipped ice hut where you can stay toasty warm by the wood stove, an ice auger is there for you and of course we have the bait to tempt the trophy Pickerel, Pike or Lake Trout you are longing to catch. 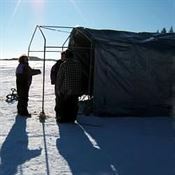 Experience ice fishing on the popular Larder Lake or one of the forty smaller lakes surrounding Cheminis Lodge. 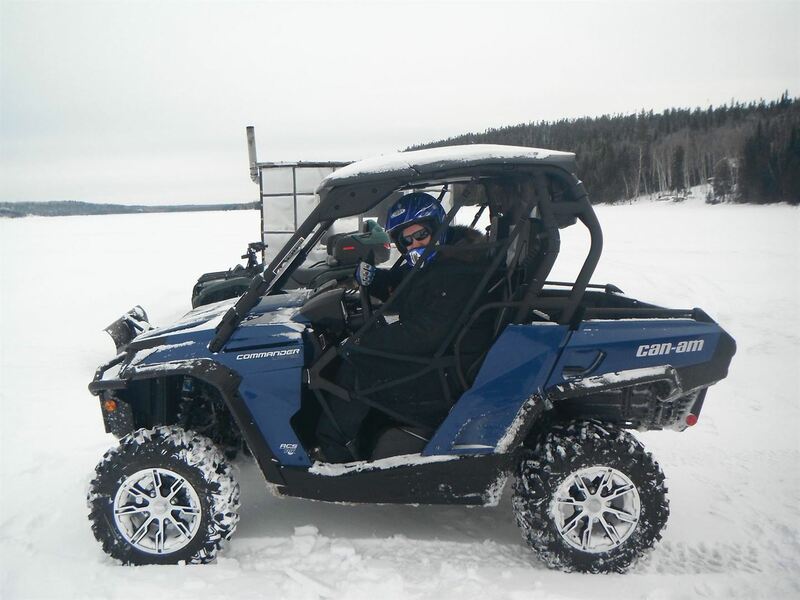 What a way to spend quality time with family and friends enjoying the outdoors and enticing the pickerel and lake trout lurking beneath the ice! Dont't forget your camera, the scenery in the winter is simply stunning. Unsure what specie of fish is in season or what the regulations are? Click here for the latest MNR Fishing Regulations. Need a fishing license? You can get one right away online. 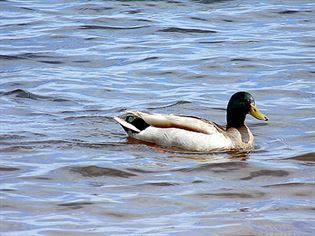 Click here to purchase a Fishing License.